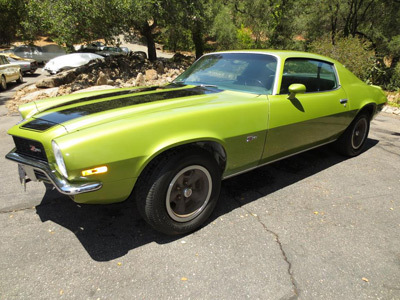 This is an original 1970 Z28 Camero LT1 complete with original build sheet off the top of the tank. Matching numbers, and only 46,724 original miles. 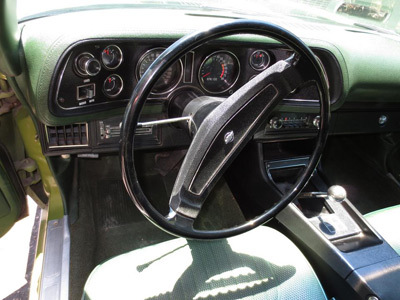 The transmission is the original 4 speed manual with a hurst lock out shifter. 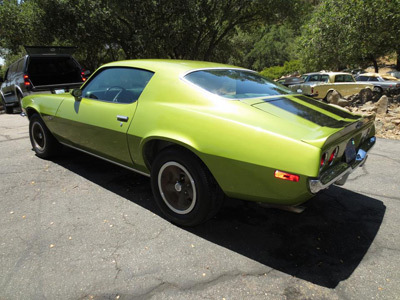 Paint code 43 Citrus Green with matching interior code 723 Dark Green Standard. The interior is in excellent condition. This was built in the Los Angeles Chevrolet factory and has been in Southern California for all of it's life and is an original blue plate california car. This is a rust free car for the year, with the exception of a few small spots of surface rust on the underside of the car (which is to be expected for it's age). most of the car and underside is otherwise perfect. The car runs and drives like it should with 46,724 miles for the year. Very crisp and powerful. 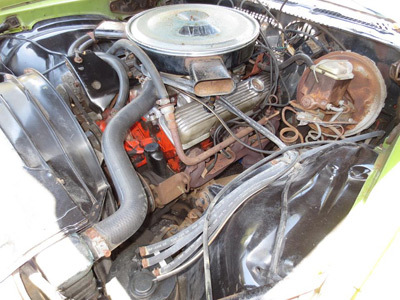 The car also has the original Holly carb, original transverse exhaust system, the original smog pump with all the fittings. The accelerator pedal in the car is the correct pedal for the LT1 fitted to the floor, and is original to the car. The pedal rubbers show the correct amount of wear for the mileage. The car, we believe has had only one owner from new (possibly two) However the signed off title dates back to 1974 with the previous owner. The previous 92 year old owner (now deceased) owned eight automobiles and 6 motorcycles (hence the low mileage on the car). Of which all his vehicles were original and very collectable. We have had an expert look over the car and he confirmed that it is all good and correct LT1 with matching #s engine # 531428. However did point out some small over spray which could mean that the car has had some paint work but many years ago. He was not sure about that but I have to tell you.